The registration for IAS & IFoS, UPSC Prelims Online 2019 is ongoing at the official website of UPSC. 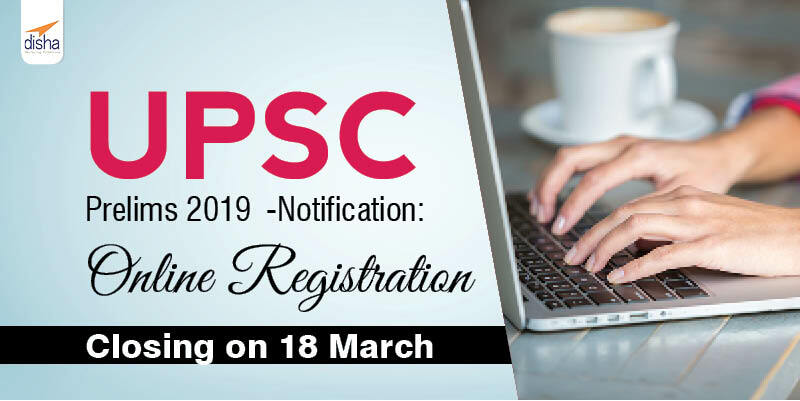 The last date CSE 2019 notified for online application is 18 March 2019. As per the announcement, the government will provide 10% reservation to the economically backward classes, applies to all central government jobs. The EWS category can get their requisite certificates in view of the forthcoming IAS Mains examination 2019. Those candidates who have completed the Part-1 of the application are invited to complete the latter part as well at the earliest. The number of post this year totals to 986, with 896 posts for CSE and other 90 posts for IFoS 2019. The other information in view of the CSE will be made available from time to time on UPSC official website. Students are advised to keep a check following the last date of application to 18 March 2019. Find the relevant books with Disha Publication for IAS Prelims 2019.